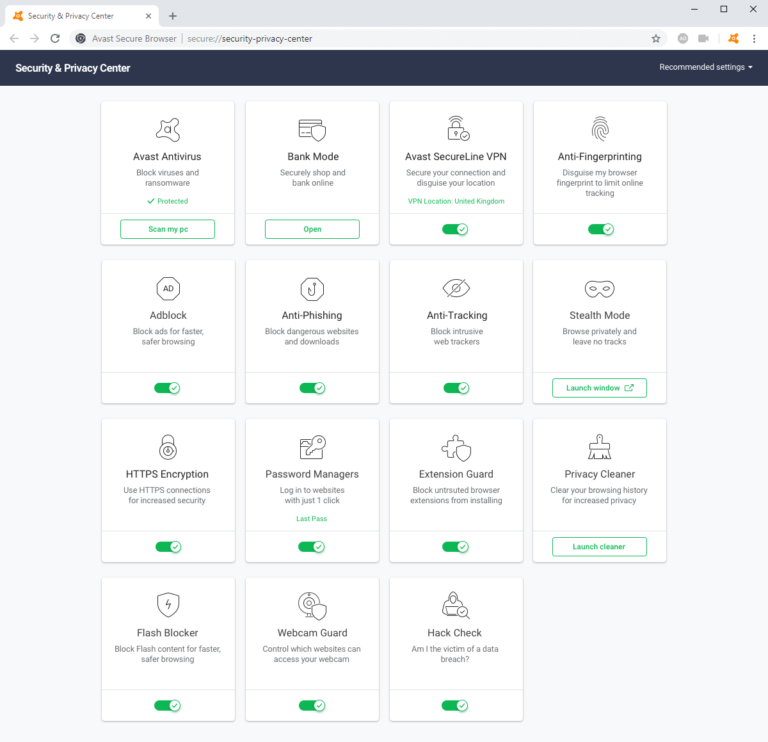 Avast has launched 'Aspen' which is a codename for the latest version of its Secure Browser, based on Chrome 73. On startup, it looks identical to Chrome and ships with its own extensions, most exclusive to Secure Browser. You receive an adblock extension, an anti-phishing module, an extension guard to stop you installing add-ons which may access your data, and much more. The latest version includes a Webcam Guard, which offers the web user complete control over the websites that can access your computer's camera. The new Anti-Fingerprinting extension will stop people being followed by trackers as they browse the web. A Hack Check module will check to see if your data has been compromised. The problem is that you really need an Avast framework to make full use of Secure Browser. For example, you need the minimum of Avast Free Antivirus installed for the password manager and you’d need the commercial Avast SecureVPN to turn on/off the VPN extension. In addition, although Avast Secure Browser is based on Chrome, you can’t just move across your regular extensions. Most of our favorite add-ons which we have running in Chrome simply won’t load or will be blocked for -- you’ve guessed it -- security reasons. You can’t even install a new theme, either. The Chrome account management system doesn’t work, so you can’t synchronize your data across browsers -- indeed, there isn’t an Avast Secure Browser for other devices such as your Mac or iPhone. Avast Secure Browser is Windows-only. Is Avast Secure Browser for you? If you use Avast security software, then possibly, yes. But you’ll surf the internet within the limitations we’ve listed above. Download the latest Avast Secure Browser 'Aspen' yourself.